It is difficult to summarize the ramen here in one word. The soup is a triple soup with a complex flavor that combines meat, seafood, and seaweed. You cannot even classify it by looking at it. Perhaps “Shinshu style” is the only way to describe this bowl that utilizes ingredients from Shinshu for its toppings, noodles, and soup. The smoothly-flavored soup comes across as lacking peculiarities, and once it enters your mouth together with the large ingredients that are mainly from Shinshu, you will not be able to stop. This sensation of chowing down the ingredients that become one with the soup is something that you cannot experience at other ramen shops. Green onions, king trumpet mushroom that takes the place of menma, rock seaweed, and a large sheet of seaweed. You can sense the unfathomable nature of Shinshu style through the umami of these ingredients scattered about wildly. Also, the appeal of a bowl of ramen here goes without saying, but the variety of menu items (which are delicious!) available is another appeal of the restaurant. 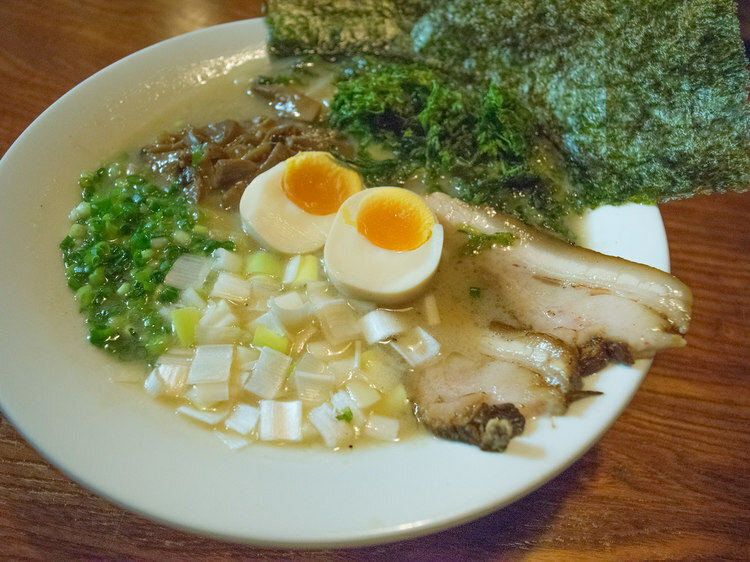 You can choose between thick and thin noodles for the ramen, and there is also a white miso-based ramen. 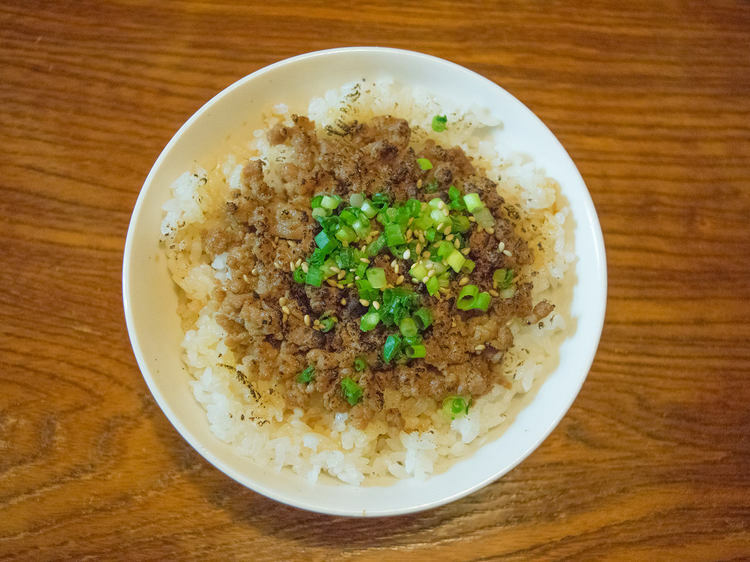 There are also many choices of rice dishes, such as fried rice and soboro don (seasoned ground chicken bowl). The soboro don was excellent both in terms of umami and fragrance, as its surface has been seared. Even among this varied menu, the appeal of the “crème brûlée” stands out above the rest. 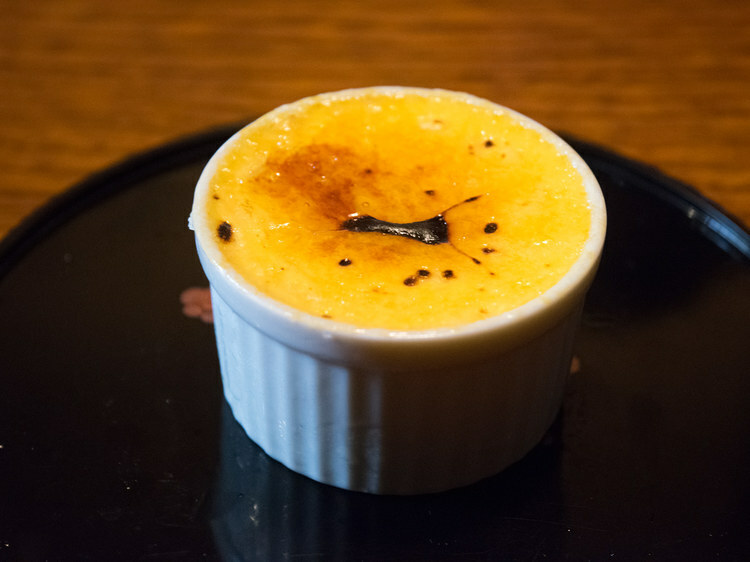 To describe this crème brûlée in one word, it is rich. As a dessert that is eaten after ramen, it has a strength that does not pale in comparison to the ramen. Soup, noodles, ingredients, rice, and sweets. In some ways, this was a ramen experience that made us feel like we enjoyed a full course meal. Shinshu is not to be underestimated. We would like you to enjoy it by all means.